To investigate the use of MRI in preoperative characterization of invasive lobular breast cancer (ILC) and in detection of multifocal/multicentric disease. We retrospectively reviewed T1-weighted FLASH 3D precontrast and postcontrast MR images together with subtraction images of 26 women with histopathologically proven invasive lobular cancer. Two experienced radiologists described tumor patterns of ILC independently. MR findings of unifocal, multifocal, single quadrant and multiquadrant disease were correlated with results of other imaging techniques and compared with histopathological findings as gold standard. Most ILC presented on MRI as a single spiculated/irregular, inhomogeneous mass (pattern 1, n=12) or as a dominant lesion surrounded by multiple small enhancing foci (pattern 2, n=8). Multiple small enhancing foci with interconnecting enhancing strands (pattern 3) and an architectural distortion (pattern 4) were both described in three cases. There was one case of a focal area of inhomogeneous enhancement (pattern 5) and one normal MR examination (pattern 6). Unifocal and multifocal lesions were identified on MRI in four patients with normal conventional imaging. In nine women, multiple additional lesions or more extensive multiquadrant disease were correctly identified only on MRI. 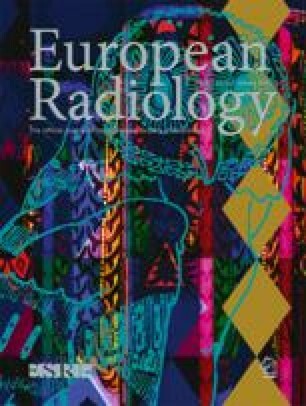 MRI may play an important role in the evaluation of patients with ILC, which is often difficult to diagnose on clinical examination and conventional imaging and more likely occur in multiple sites and in both breasts. However, false-negative MR findings do occur in a small percentage of ILC.